EDIT: If this is in the wrong place, feel free to move it, I was not really sure where to put it. Put a shirt on, dude! Come on, dude! It was a hot day, people wasn't wearing shirts, so what? It's not like I'm masturbating in a batman costume.. Don't focus on the reflection then. Sure i could go redo it, but i really doubt that people care. LOL graysky , you have really keen eyes. EDIT: Especially if you look at that website; wonder what that's all about. Pink colors, (still dressed) chick visible... Now I don't know. Really, if you are going to share something with the world, be dressed. If you really wanna know what i was doing, go to: http://watchseries.eu (or any streaming site in the world for that matter) without a popup with some fake chat for adult dating sites.. I just think it's petty when people are trying to contribute to a community, you are gonna get shut down by people who can't even deal with a reflection of something so innocent and normal as a guy without his freaking shirt! - I mean really, what do you do at summer? You trow up every time you see people not fully dressed? You should think than in a community of grown intelligent people you could look past something so pointless and irrelevant as a missing shirt. (In a reflection!!).. I can see the picture is a bit unfortunate, but really?? You are gonna make a deal out of this? petty crap.. It was a joke - sheesh! This thread is fit for TGN. looks like vincent gray from the sixth sense. 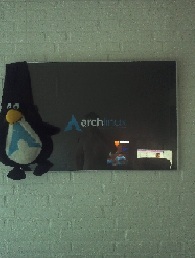 Hey guys, Perhaps he's liking linux a little too much? 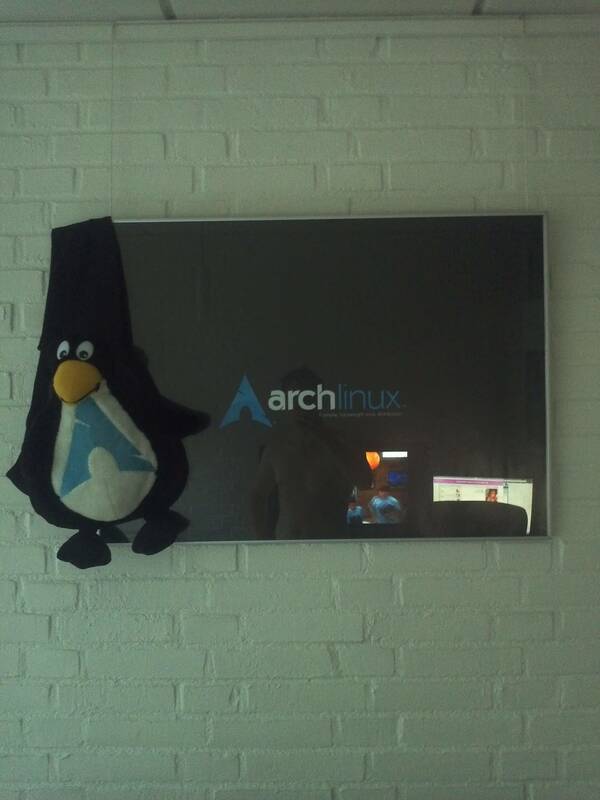 He can't be the only one who takes off his shirt for archlinux... Lol, Kidding of course. I rather think commenting on a shirtless guy is off-topic within Artwork and Screenshots. Please discuss the artwork, not the reflection. Thanks.